Using Creo Illustrate partners advanced 3D illustrative abilities with related CAD information to supply configuration-specific design data, which can be used to control, analyse, and sustain products that reproduce the design with accuracy. Creo Illustrate provides a unique platform with precise tools for making detailed, 3D technical drawings, which can be utilised to share and communicate advanced product designs and development methods with clarity. 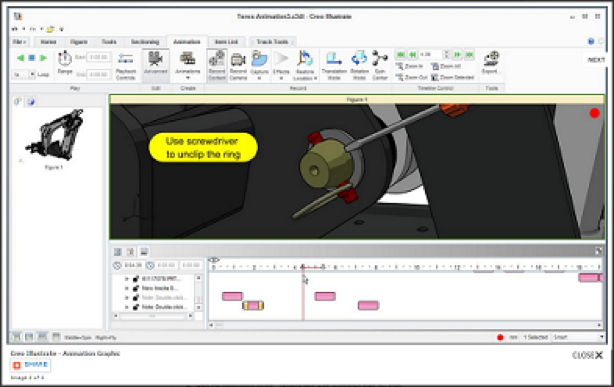 Creo Illustrate can be fully incorporated with all other Creo apps, as well as Windchill and Arbortext products. This allows you to supply the most recent 3D technical and service information, maintaining products throughout the overall product lifecycle. As well as this, Creo Illustrate is able to restructure CAD engineering BOM to incorporate the structural information for parts and service procedures and additional other illustrative functions.